Never easy leaving family behind. Plan your next trip, it gives you something to look forward to. Hi Deborah, so glad you had a good time away visiting with family. It is always hard to get back into the routine after being away on vacation. So it seems you were at the beach and in MY neck of the woods...central NC! I am in Mebane which is smack-dab in the middle of Greensboro and the Raleigh-Durham area. Pimento cheese sandwiches are the bomb and I am surpised to hear you don't have them in Michigan. I am from OH and I even remember eating pimento cheese sandwiches in school lunches. It's good stuff! I'm sure your ❤️ Is still there with your loved ones in North Carolina, Deborah, but what a wonderful place to visit. I'll bet you had a fabulous visit, and it looks like some good food, too. Hi Deborah, so nice that you got to spend time with your kids, I'm sure it is hard to leave. Nice that you got to spend some time on the seashore too. Your pimento cheese sandwich looks delicious, besides the cheese, lettuce and tomato what else was on it. I'll have to try to make one of those. So nice hearing from you, have a great rest of your week catching up and relaxing from the drive. That was all, the pimento cheese, lettuce, and tomato, grilled on rye with butter. I've already been online looking for pimento cheese recipes! It was delicious! 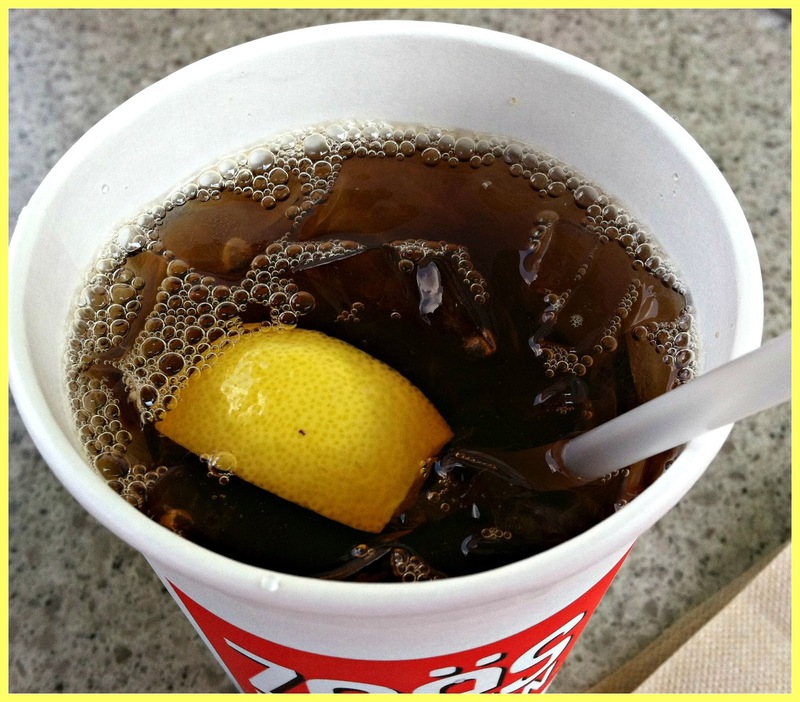 Ah, the highlights of the South, mostly the sweet tea. :) My sister in law makes homemade pimento and cheese, and it is better than storebought. 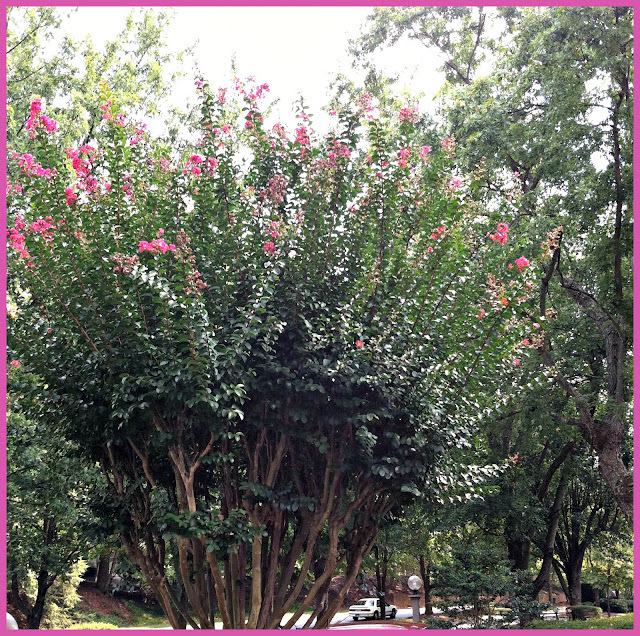 About the crape myrtles---here in TN they've have been amazing. Lots of sun and rain, I guess. Glad you got to see your babies, though. Maybe it'll hold you for awhile. I know it's hard. I do. Deborah, we were in N.C. just a couple of weeks ago for the first time. It is a beautiful state! While there we left our motorhome parked and drove up to Virginia and I was able to put my tootsies in the Atlantic. I was amazed how much warmer the water is than the Pacific. I smiled at your pimento sandwich. I am looking forward to taking my daughter to a cute little place in Shelbyville, Kentucky next week for a pimento sandwich - one of their specialties I hear. Glad you had a nice visit with your children - always a good thing! Crepe myrtles love the hot climate and do very well in the South. What a nice trip, to a beautiful place! Glad you got to see your sons and daughter-in-law. The crepe myrtle is beautiful. Wish we could grow them up north! Hi Deborah, sounds like a wonderful trip and so bittersweet to leave. I know you had a special time with your family. Our Crepe Myrtles here in Texas are all in bloom too and gorgeous. Love the pimento cheese. We have it here too. So glad you enjoyed your getaway. Thank you for stopping by and so sweet to know you enjoy your little pumpkins year round. The South definitely has a flair all its own. 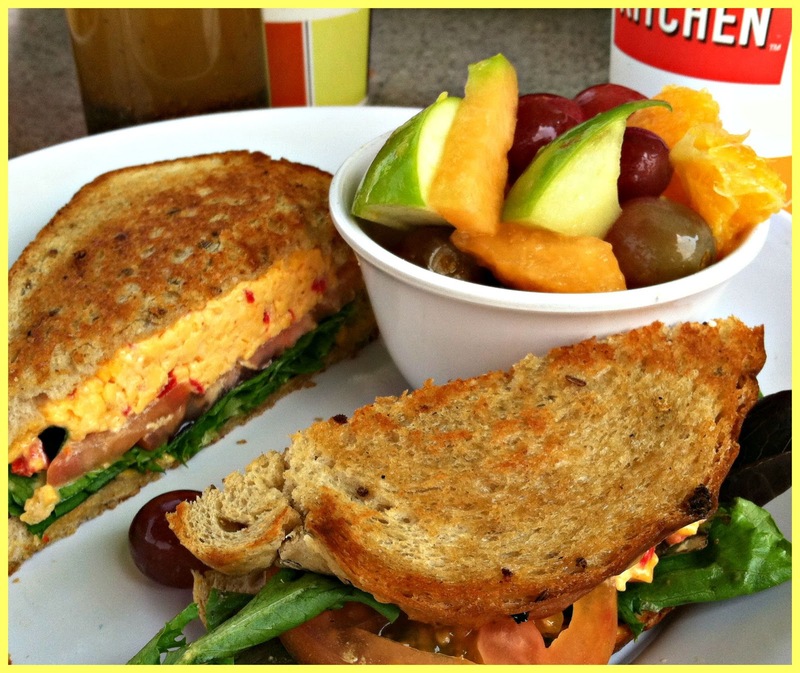 Love the idea of a pimiento cheese sandwich - the photo looks scrumptious! Crape myrtles are glorious things all in bloom. Enjoy settling back into your everyday routines. How nice that you got to visit your two sons and daughter-in-law. It looks like a very pretty place to visit and I am sure you all had a great time. That crepe myrtle tree is spectacular. I know it is difficult to leave love ones behind. It happens to me every time I visit my parents in Florida but I know you will be back to see them again. So glad you had a good visit. Angels to you. Deborah, judging from the subjects of your photos, your visit with your family must have left a sweet taste in your mouth, and lots of lovely memories to keep you 'satisfied' in the upcoming seasons! I've heard so much about pimento cheese sandwiches from fellow tea bloggers (from the south of course) and I can honestly say yours looks tasty Deborah. Glad you were able to have a good family visit. Those photos looks very familiar, Deborah :) Did you know you can make your own pimento cheese? Not hard to do, and it tastes much better than store bought. So glad you had a nice visit, and I'm sorry I didn't get together with you this time. My life is so frantic/hectic/slightly-unpleasant right now, maybe it was best. But sometime! Welcome back home.